Kamm Consulting is the result of a lifetime career learning about the dual education systems in Germany, Switzerland, and Austria (that blends academic theory with practical hands-on learning) and experiencing first-hand the difficulties in implementing Germanic Apprenticeship Programs in the U.S. While working for a German subsidiary in Florida in 2008, I was responsible for implementing their apprenticeship program following the German dual education model. During development of this program, I organized several trips to Charlotte, North Carolina for local leaders to learn from the successful Apprenticeship 2000 model. We also traveled to Germany and Austria meeting with government agencies, communities, companies and vocational training centers to gain more insight about their programs. Our apprenticeship program received local, state and international attention when one of our apprentices won the prestigious GACC "Trainee of the Year Award" in 2012. The Tampa Bay area began to embrace our program, and with the help of local leadership, we launched the Tampa Bay Manufacturing Skills Initiative which later became AMskills (American Manufacturing Skills Initiative), a $2.35 M tri-county public-private partnership initiative governed by local county governments, school districts, community colleges and local manufacturers. Kamm Consulting's mission is to introduce , the benchmark world class "Germanic Apprenticeship Programs" to America. We believe that implementation of these world-class gold standard apprenticeship programs is one of the keys to stabilizing the growth of the U.S. economy. We want to put forth our best effort to help America continue our legacy as a world-class industrial power! We believe everyone in America deserves the chance to discover their own career passions and to develop a career pathway in a field of their choice that will inspire and motivate them for life! Side Note and Fun Fact: Tracing my roots back to Germany, and possibly even to a small town in Switzerland, I learned that the Kamm Stammname "family or root name" may have originated from a family clan that lived on the Gebirgskamm, (a word in German meaning "the ridge, crest or peak of the mountains"), and that some of the Kamm descendants from Switzerland migrated to north Germany with some continuing on to America. This story inspired me to launch this website and business with a theme tying back to my Germanic roots, my Stammname Kamm, at the Kamm (Crest/Peak) of my career doing business with German-speaking countries. Contact Kamm Consulting to learn more about how Germanic Apprenticeship Programs can help your Community! Stand Ready to Assist you on your Journey to the Top! We are here to guide your path to successful implementation of an authentic Germanic Apprenticeship Program! We know the twists and turns on this pathway to successful GAP implementation! We are here to ring the alarm and to help resolve the critical workforce training GAP crisis in America! We are here to organize your community stakeholders to build a successful GAP Implementation Strategy! We are here to turn your light on to new ideas for GAP workforce training and economic development! We are here to talk through and resolve your GAP implementation problems! Bryan has 35 years of international and domestic business experience in corporate, government and not-for-profit sectors. He was born in Hartford, Connecticut and raised in a military family. Bryan was 9 years old when his father was stationed in Aschaffenburg, Germany for 3 years. His family lived outside of the base, in a small village where little English was spoken, where Bryan learned to speak fluent German. He later returned to Germany to complete two summer semesters at the University of Trier, where he further improved his skills in German. Bryan holds an English literature Bachelor’s degree with a minor equivalent in German literature from Florida Technological University, (currently UCF), as well as a Co-major Bachelor’s degree in International Business Management and German from FSU. While attending FSU, Bryan was a student intern with the Florida Department of Commerce hired by a native German International Representative to assist him with German companies seeking manufacturing locations in Florida. After a one year internship, Bryan was hired into his first career position as a German-speaking International Representative where he continued to work under the supervision of his German supervisor and mentor for 7 years. In this line of work, Bryan was first exposed to the German Dual Education system and worked with German companies who expected to find strong workforce qualities in the locations they chose in Florida. Through these experiences, Bryan developed a great respect and appreciation for the German apprenticeship and mentoring program. 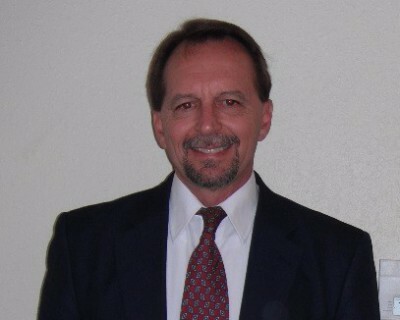 His career experience includes 14 years in economic development, (8 years with the Florida Department of Commerce; 2 years managing a start-up economic development program for Seminole Electric Cooperative; and 4 years for the Pasco Economic Development Council managing corporate site selection of companies to Pasco County, Florida). In the Private sector, his experience includes two years in electric utilities, 11 years in the telecommunications IT software industry, 2 years as an independent software consultant and 6 years with a wholly-owned German deep foundation engineering and construction subsidiary, Bauer Foundation Corp. where he managed the implementation of the German Dual Education apprenticeship system. He currently serves as the Assistant Chapter Director for the GACC South, Florida Chapter. Bryan’s hobbies include guitar, soccer, tennis, running, swimming, snorkeling and surfing, as well as designing and manufacturing surfboards and surfboard fins. Bryan has lived in Florida since 1967 where he met his wife of 39 years, Joyce. His son Trevor, and daughter Olivia are also proud graduates of FSU. Siggi’s career began 30 years ago in Germany. He was born and educated in the city of Dortmund. At age 16, he started as an apprentice in the field of Industrial Mechanics where he gained hands on and precision machining experience which has been proven valuable throughout his professional development. He finished his apprenticeship in 1989 and later decided to continue his education at the University of Applied Science Dortmund in the studies of Architecture. While interning for multiple architectural companies in his home state, he completed his studies in 1999. Siggi holds a Bachelor degree (Dipl. Ing.) in Architectural Engineering from the University of Applied Science Dortmund as well as a German IHK Certification in Industrial Mechanics. With the turn of the millennium Siggi’s life took a turn when he met his wife in Florida. With his new founded family, he settled in the Tampa Bay area. In the private sector his career experience includes 8 years of architectural design, permitting and project management in Germany, and 5 years of architectural design and permitting in the USA. While working for Carruthers and Associates Architects in Tampa, he gained expert knowledge of Computer Aided Design applications in metric and imperial systems with a focus on educational facilities for the School District of Hillsborough County. 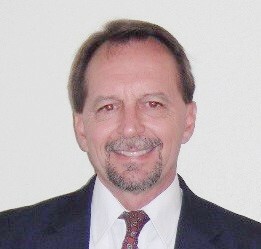 In 2006 Siggi decided to work for the public sector and started teaching Computer Aided Drafting for the School District at Erwin Technical College in Tampa. In 2011 with the housing market in recession he reinvented his position to jump start a Solar Photovoltaics Program for Hillsborough County Schools. This one of the kind program in the region has grown with the help of the industry and under Siggi’s leadership developed a strong network of advisors, companies, engineers and alumni that contribute to the continuous effort to provide skilled workers to the local economy and further the effort of energy independence of the nation. Siggi continues to maintain an active teaching certificate with the District of Hillsborough County. While continuing to teach at the college, he realized the need for advanced Computer Aided Design and engineering services especially in the newly emerging Solar Photovoltaic market. As a result he founded cAdvice Inc, a Computer Aided Design and Consulting Service. His company maintained a flawless status with the state, federal authorities, engineers and designers dating back to 2009. Cadvice Inc. has successfully completed more than 400 projects for clients throughout the United States and the Caribbean. Significant projects include: Tallahassee, Jacksonville & St Pete-Clearwater International Airport - Terrazzo Art Floor Designs. Marché en Fer, Port au Prince, Haiti - 105 KW Solar PV System, St Petersburg College, FL - 65 KW PV System, Bacons Furniture Galleries, Port Charlotte, FL – 180 KW PV System. Siggis’s hobbies include Sailing and Windsurfing; he is an active member of Davis Island Yacht club and regularly participates in Thursday night club races out on the Bay. He has lived in Tampa since 2001 together with his wife Leigh and his son Liam who is a student at Plant High School. Originally from Stuttgart, Germany, Hans is an “Industrial Engineer” who has proven track records in Company management and consulting in advanced production technologies. Hans has developed his expertise on the international market: in Germany, Brazil and United States. 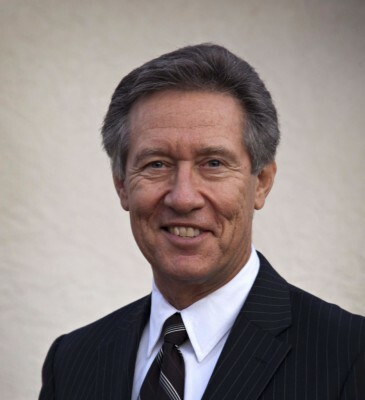 Hans has many years of consulting and executive management experience with companies from 400 to 2,500 employees from different countries, different cultures and political education. This experience has given Hans the sensitivity, perspective and understanding of what how to improve professional education and personal leadership. Hans has worked together with universities and technical institutes in high-tech projects, like flexible manufacturing, manufacturing cells/islands for machining and assembly since 1980. He is a recognized expert for JIT (just in time deliveries) and applies CPPI (continuous process / product improvements, with REFA (eq. to Six Sigma), MTM (methods-time measurement), and Kaizen (change for better). In planning and setup of fully automated production, (24 hours on 7 days a week) Hans achieves up to 8000 hours/year optimized production output. He organizes day and night shifts and keeps the automated production running over the weekend. He pays a special attention to the employees’ qualifications for multi-functional application to manage production cells and more flexible production systems including assemblies. Hans specialties are motivating and empowering companies and their organizations to manage advanced technology investments, their organization and workforce more efficiently, implementing team work and continuous improvement methods with focus on realization of techniques that make companies competitive, and enabling organizations and productions to reduce waste, inventory and costs. Increasing productivity, improving employee satisfaction, and enhancing the level of quality (QMS) and service they provide. -Tool, die and mold maker. -Technician for tool, die and machine design. -Mechanical and industrial engineering (Dipl. Ing., eq. MBE/MBA), REFA (eq. Six Sigma), MTM. -Continuous education in Kaizen, Lean Production, and Kanban application. Strength: Hans is very focused on Problem Solving and Continuous Process & Product Improvements, and employee qualification. Mike started his career in the machining field at Dixie Hollins High School, in the Machinist Practices class. This was a 3 year course where he was taught manual machining, gear cutting and surface grinding. After graduation he worked as an apprentice for the Halkey-Roberts Corporation. He attended Pinellas Vocational Technical Institute, and enrolled in the Precision Machining class, where he learned advanced machining processes such as CNC turning, milling and EDM. He also competed in and won the Regional and State VICA (originally Vocational Industrial Clubs of America) Precision Machining contests and competed at the national level. Upon Graduation from P-Tech, He worked for FK Instrument Corp., a local company specializing in Micro-Chip Processing. For the last twelve years he has worked at Tampa Bay Machining, a multi-million dollar company for which he helped set-up and operate CNC Lathes, Horizontal and Vertical Twin Spindle 4TH Axis Mills. 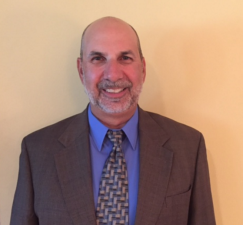 Mike brings 36 years of manufacturing experience to Kamm Consulting Group as an Associate Consultant specializing in American manufacturing practices. Mike is one of very few Americans who went through a machining apprenticeship program in the USA. 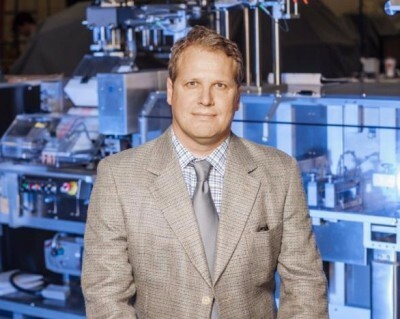 Mike has worked in various positions manufacturing precision machine parts and products for the aerospace, aircraft, micro-chip, and security camera industries. Mike’s role at Kamm Consulting Group is key to helping American manufacturers better understand the value of the Germanic apprenticeship model, and how this model could help enhance American apprenticeship programs to develop a higher quality globally competitive manufacturing workforce in America. 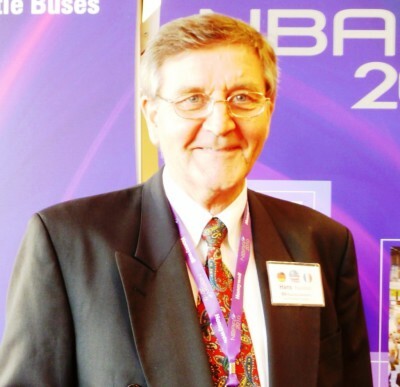 Wit Ostrenko had served as President of the Museum of Science & Industry for the last 28 years. He retired from MOSI in August of 2014. He is a 50-year resident and scientist of Florida, with 37 years in the museum field. He has a Bachelors in Zoology from Florida Atlantic University, a Masters in Aquatic Ecology from the University of Miami, and Ph.D. work in Oceanography. Wit is the international past president of the worldwide Association of Science Technology Centers (ASTC) and an officer of the Florida Association of Museums (FAM) and is actively involved with several scientific, community chamber and leadership organizations. He lectures on the museum profession, science topics, and creative problem solving. He leads trips into the Florida environment particularly the Everglades and the Big Cypress Swamp to help people understand and appreciate the universe’s natural beauty and its resources. He has led several trips through Florida for the Smithsonian Associates Travel Program. Wit has led the MOSI effort to make it the largest museum in Florida, the only IMAX Dome Theater in Florida and the 6th largest science center in the US, which features the nation's first Head Start, an elementary school, a charter middle school, the nation’s largest children’s science center, and the Technology/Invention Laboratory called Idea Zone. Wit is an avid sailor of Florida waters, both cruising and racing. He has most recently participated in the first wintering loon study in the Gulf of Mexico Mississippi Delta region for Earthwatch. He has also participated on several IMAX film productions for input as a Science Center Director. Son Derick, is a graduate of Stetson University and Rhode Island School of Design and is now a professor at LSU in digital art and design, and daughter Mariana, is in nursing school and a pole vaulter.